You need a partner to increase sales and profits. But you want one that can also enhance your customer’s shopping experience. Anderson Merchandisers started as a makeshift newspaper stand on an Alabama sidewalk in 1917. Today, the company is the largest merchandiser of entertainment products in the United States and a leading name in the merchandising of groceries, pharmaceuticals, hardware, impulse items, gift cards, electronics and more. Headquartered in Plano, Texas, Anderson Merchandisers has additional facilities across the United States and around the world. 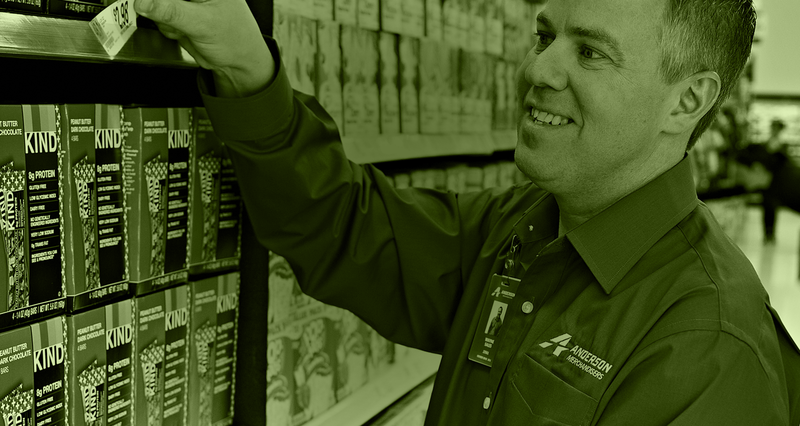 More than 3,000 Anderson merchandising experts work on behalf of clients in more than 4,000 retail locations.